I think I've talked about packets before, but I now have a picture of mine. So I'll talk a little more about them. 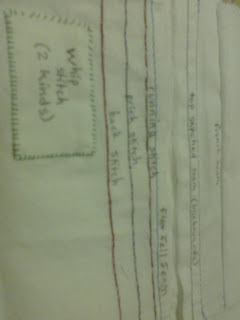 The packets are something we do in the costume shop to improve our skills and make sure everyone calls the same stitches the same thing. Essentially, we just practice our stitches. 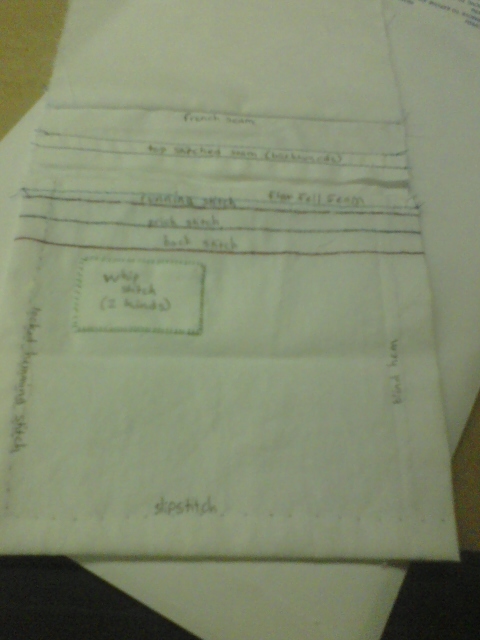 It's kind of a cool idea, but the pieces of fabric we use are so small that you don't get a lot of practice on any given stitch. Oh well. This is most of the stitches we use. There are some things that aren't in this photo because I hadn't done them when I took the photo, or because I did them on an actual garment. 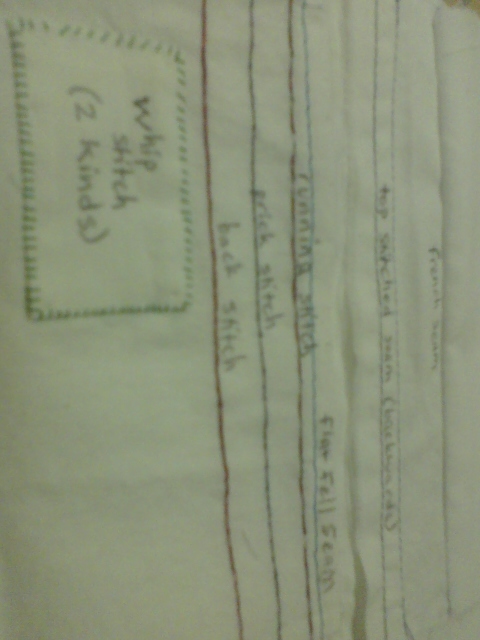 Close-up (sadly 90* off) showing how all the stitches are labeled for quick and easy reference.